Making modifications to your WordPress content in bulk can be a great way to save some time if you need to make mass changes to your posts, pages, tags, categories or even media items. Fortunately, WordPress makes it quite easy to make bulk modifications to a variety of your WordPress content directly from the dashboard. In this article we will show you how to bulk edit in WordPress. By default, WordPress will display 20 items per page, which isn't of much use if you're trying to bulk edit hundreds of items at once. You can increase this paltry figure via the Screen Options tab which is located at the top-right of the WordPress Dashboard when viewing a list of WordPress elements. In the field marked Pagination, select how many posts you would like to list per page when you're viewing your list of posts. Hit the Apply button to save your changes, the post list you're currently viewing will refresh and begin displaying your chosen amount of items per page. You can choose to display different amount of items for different WordPress elements, just check the screen options tab when viewing a list of your elements. Alternatively, you can use a plugin that enables you to Select All elements regardless of how many items are to be shown at a time, check out the Bulk Actions Select All plugin below for further details. When viewing a list of items, whether it's posts, pages, tags or categories, you'll see a series of small checkboxes alongside each item. These checkboxes allow you to select more than one item, which you can later apply bulk changes to. At the top of these checkboxes is a global checkbox that allows you to automatically check all other visible checkboxes. For this example we'll be using the Posts list. If you chose to display 100 posts per page then it will automatically check the boxes of all 100. You're also able to bulk delete items from your media library using the built-in Bulk Select option. Open your media library via the Media menu item and click the Bulk Select button at the top of the page. This allows you to select multiple items that you would like to delete all at once. Once you're happy with the selection of media library items, click the blue Delete Selected button to permanently delete your chosen items, they cannot be restored so use with caution. There are a handful of very useful bulk editing plugins in WordPress that allow you to enhance WordPress' bulk action feature. All of these plugins are available free of charge from the WordPress Plugin Directory. Let's see how these following WordPress plugins might be helpful for your purpose. Bulk Delete is a free plugin with premium add-ons that allows you to bulk delete any number of items from a wide-range of WordPress elements. Not only does the plugin allow you to bulk delete your content, but you can do so by applying a series of filters to only delete the content you want to delete. A vast array of elements can be deleted out-of-the-box, with additional features available to users of the Pro add-on, which is available from $15. The Custom Bulk Actions WordPress plugin allows you to easily define your own custom bulk actions by adding some more options to the Bulk Actions menu. By default, WordPress doesn't make this functionality available to its users, but with thanks to this handy bulk editing plugin you're now able to add a variety of additional bulk editing options with ease. Bulk Resize Media is a plugin that allows you to bulk resize any number of WordPress media items directly from your WordPress dashboard – also for WordPress multisites. You can further define the maximum dimensions of your images, and optionally converting BMP images into compressed JPGs. Wp Favs – Bulk plugin installation is an awesome bulk plugin installation tool that allows you to install collections of plugins at once. Offering a free service via their website, you're able to create your own list(s) of plugins and share with other WordPress admins. Wp Favs also makes it easy to install other people's collection of plugins which you can freely browse. Simply copy and paste a key code into the plugin to automatically bulk install each plugin from your chosen plugin collection. As the name suggests, the Bulk Edit Products, Prices & Attributes for WooCommerce plugin simply provides you with a method of bulk editing your WooCommerce powered online store. You're able to bulk modify a wide-range of elements including product categories, attributes, values and prices with ease. Additional support for Variable Products, aswell as Premium Support, is available to users of their Premium Version, which is available to download from $49. As mentioned above in the article, you can bypass the need of choosing how many WordPress elements are listed per-page by using the Bulk Actions Select All plugin. This bulk editing WordPress plugin simply adds a discreet option that allows you to automatically select all items of whichever taxonomy you may be currently viewing. The default bulk edit feature in WordPress can be of great advantage whenever you need to edit large amounts of content at once. The provided feature can even be enhanced by using such suitable WordPress plugins which have been outlined above. 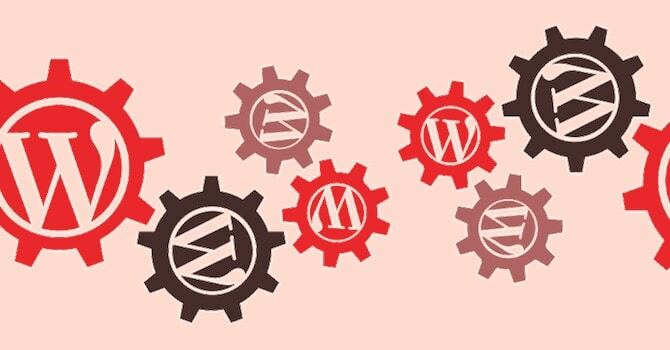 Have you ever had any experience with these bulk editing WordPress plugins? Please feel free to let us know in the comments below. This is already out of date. It looks like WordPress have removed the bulk edit feature for good. Hi Chris, that’s not correct. With the latest version of WordPress (v4.8.1) you can still bulk edit posts and pages directly from the WordPress dashboard. You may be looking at something else.